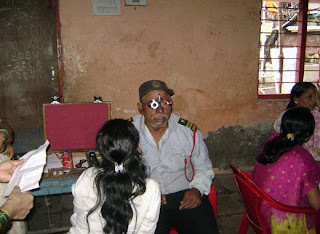 In this event we have invited medical experts and Eye specialist of K.B.HAJI BACHOOALI CHARITABLE HOSPITAL Parel to chek the patients. 500 patients had taken the benefit of this camp. 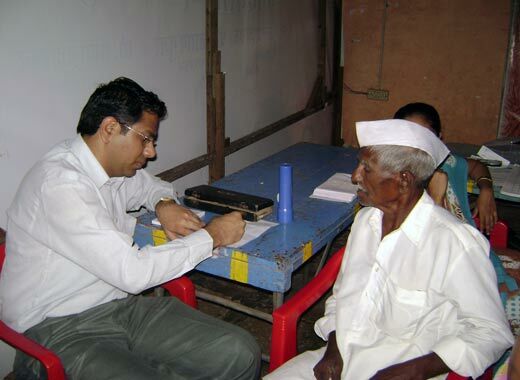 We found around 50 patients of CATARACT to whom we operated absolutely free of charges. This event was organized in the presence of Pragatee Foundation’s President Mr. Kiran Rane , Secretory Mr. Harish Pagare and trustee Dr. Baba L. Meshram. With the help KBH Haji Bachhuali Eye Hospital, Parel, PRAGATEE FOUNDATION (Regd. 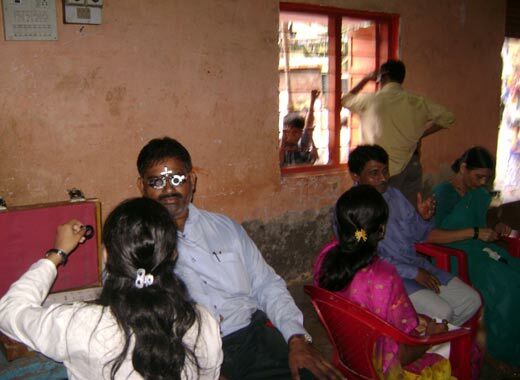 ), Mumbai has successfully conducted Eye testing camp at Ghatkopar. Pragatee foundation (Regd) Mumbai & KBH Haji Bachhuali Eye Hospital, Parel has jointly organized the Free Eye Testing & Free Cataract Surgery Camp on Sunday 23rd Sept 2007 between 11:00 am to 1:00 pm at Ghatkopar, Indira Nagar Sarvajanik Ganesh Utsav Mandal. 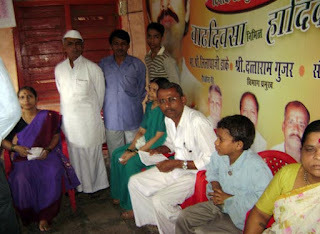 Almost 500 people get benefited through this camp. 7 doctor’s team & foundation’s volunteer were serving people throughout the camp. Eye vision test & Registration of Cataract surgery has done absolutely free of cost. High quality Specs were distributed at reasonable rates Rs.200 to Rs.300/- only during this camp. Pragatee foundation’s President Mr. kiran rane, Secretary Mr. Haresh Pagare & Trustee Dr. Baba Meshram were present at event along with all local social workers.